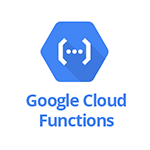 Use SignalFx to monitor Google Cloud Functions via Google Cloud Platform. Executions / min - Count of function executions per minute. Executions / min Trend - Trend of function executions per minute. Average Execution Time (ms) - Average execution time for a function. Average Execution Time (ms) Trend - Average execution time trend for a function. Executions / min - List of executions per minute for all functions. Executions / min by Status - List of function executions per minute grouped by status. Average Execution Time (ms) - List of average execution times for all functions. Execution Time (ms) - Trend of average execution times for all functions. Count of function executions broken down by status. Distribution of functions execution times in nanoseconds. Distribution of maximum function’s memory usage during execution, in bytes.